How Far is Alcon Rito? 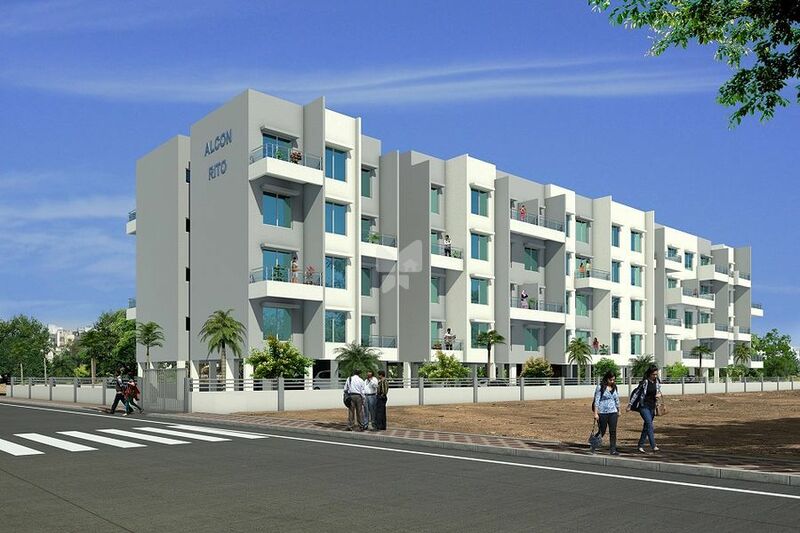 Alcon Rito is one of the popular residential developments in Ghorpadi, neighborhood of Pune. It is among the ongoing projects of its Builder. It has lavish yet thoughtfully designed residences. 6" thick External and 4" / 6" thick internal walls. Main door & bedroom door, both sides laminated with plywood door frames. Toilet doors one side laminated. Good Quality fitting for all doors. Powder coaated aluminium sliding shutters for entrance to terrace attached to living/master bedroom. Vitrified tile flooring with skirting. Granite kitchen platform with stainless steel sink & 2' high wall tiling. Water purifier & exhaust fan provision only. Sand faced plaster for external walls with acrylic paints. Gypsum plaster for internal walls with OBD paints. Oil painted MS Safety grills for windows. Concealed copper wiring, premium quality switches & fire retardant wires. Miniature leakage circuit breaker (MCB). Earth leakage circuit breaker (ECB). Tv & telephone point in living and all rooms. Common satellite TV connection in living room & provision in bedrooms. Designer toilets with antiskid ceramic flooring. Good quality C.P. fitting & designer sanitary ware. Powder coated aluminium louvres with frosted glass. Concealed plumbing with hot & cold water arrangement.